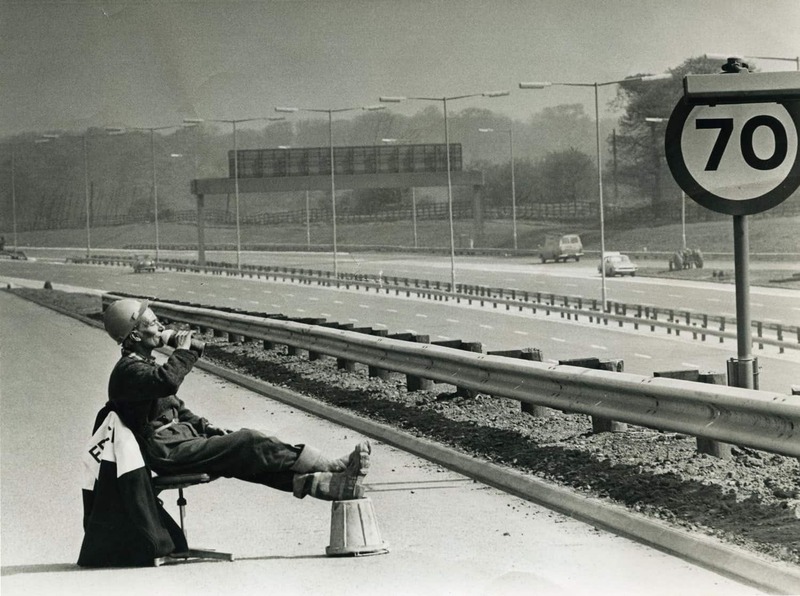 Harold Peakman on completion of the M5 Slip road at Junction 1, West Brom around 1970. This photograph was taken of my Grandad, Harold Peakman on completion of the M5 Slip road at Junction 1, West Brom around 1970. He worked on the slip road construction for W. & C. French who also built many of the UK motorways. Before they officially opened the road a local paper asked my Grandad to pose with his flask and he was more than happy to oblige! It reminds me a little bit of the famous ‘Men at Lunch’ photograph, but a Black Country version.